This page is designed for one purpose — to give you a free financial model template! Simply use the form below to instantly get a copy of the Excel file and you’ll be well on your way to performing your own financial modeling in Excel. This template includes assumptions, an income statement, a balance sheet, a cash flow statement, and a supporting schedules section to calculate depreciation, amortization, and interest on the debt. Simply enter your information below and the template is yours! After you’ve downloaded the free template you can start editing and changing the model on your own. 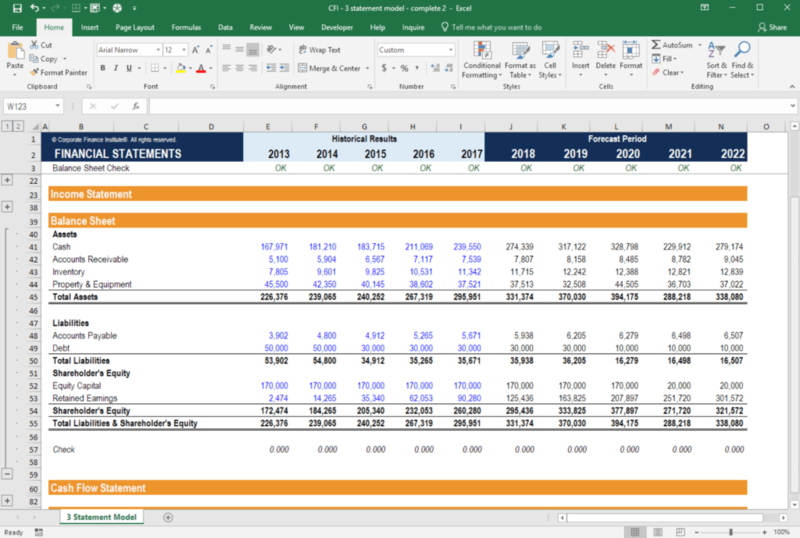 If you’d like advice or guidance on how to build the file from scratch, you can watch CFI’s recorded webinar on how to connect the 3 financial statements in the model. The webinar below will show you step by step how to create all the formulas, functions, and calculations that are required to build this financial model template on your own. For the best results, open the file on your computer, delete all the formulas and follow along with the video as the instructor guides you through the process. As soon as you open the file you’ll notice right away that it has the distinct CFI style to it — no gridlines, clean layout, and everything is on a single worksheet. In CFI’s courses, you’ll learn why models should always be set up this way. 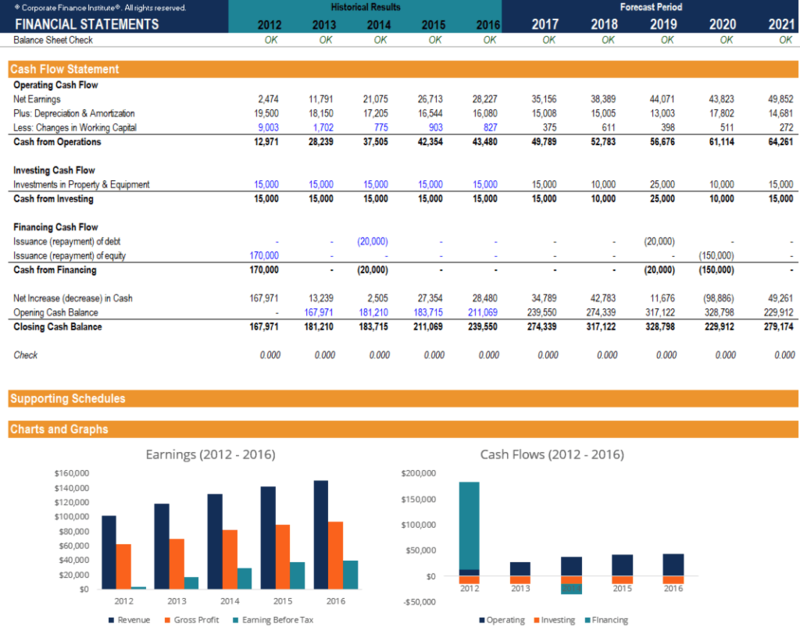 We hope this free financial model template is useful and helpful for you to advance your career as a financial analyst. CFI is the official global provider of the Financial Modeling and Valuation Analyst (FMVA)™FMVA™ CertificationThe Financial Modeling & Valueation Analyst (FMVA)™ accreditation is a global standard for financial analysts that covers finance, accounting, financial modeling, valuation, budgeting, forecasting, presentations, and strategy. certification, designed to transform anyone into a world-class financial analyst.